spb12020 goes beyond the spheres of dubstep and doom. we should just call it for the hype of last year witchhall. you also might call it doomstep or darkdub. whatever. the melting experiments from berlin based projects can be discriped as doomstep. following the inversed spiral downwards the bpm race. the call is “live slow – die old”. electrofunk and experimental electronic dance music (Maischein) to noiserock/punk/noise (Schirmer) to step into a new musical area, where they could use their skills in exploring and experimenting on something new to both. Robert Schirmer played all Europe with his bands Gentle Veincut,Stresseuche andBudyet, with releases on noiserock labels like Whosbrain Records, Gaffer Records and Looptown. Don’t call it a comeback. 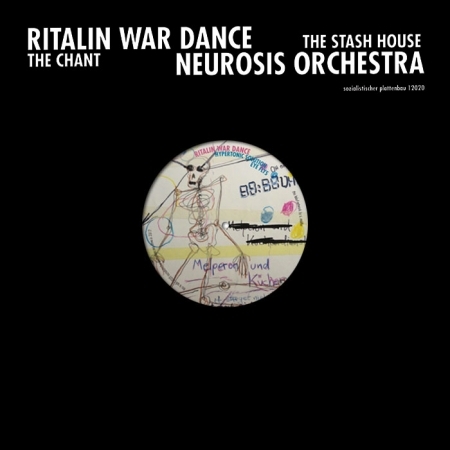 Berlin’s Neurosis Orchestra never disappeared. Those two tunes on their brand new Split EP connect their previous output on the WE BOMB FI DUB compilations and their NOIR DESIRE EP onSprengstoff Records. “Lucid Dream” seduces the listener to enter a mental stage that one might never leave again. Pitched down guitar riffs meet the never ending echoes of the dark side of your soul. The second tune “Trap” takes the mood to slightly different direction: A dark and claustrophobic adventure on 140bpm with beats resembling a narrow cave. Eerie sounds meet heavy basses and distorted, grinding synthesizers. 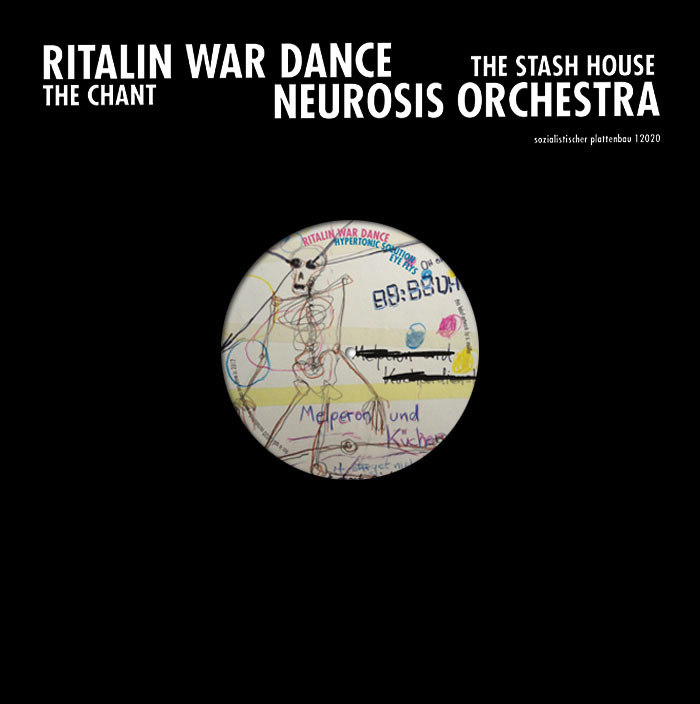 This is a 12inch, Products Artist Neurosis Orchestra, Ritalin War Dance. Bookmark the permalink.